Trust in our experience to make your experience better. The attorneys and staff at Iandoli & Edens are experienced and dedicated family law professionals whose goal, no matter what your legal issue, is to ensure you have the right team on your side. When families are in crises, often they need legal assistance to help them resolve their issues. For help and understanding you can turn to the Chester New Jersey divorce attorneys and staff at Iandoli & Edens, LLC. Contact a divorce attorney at the law office of Iandoli & Edens, LLC today to learn more about the services and representation we offer. Clients have “Trusted for Over 25 Years” our firm to handle their legal matters. Considering taking legal action for your legal matter? Consult with our firm today. Contact a divorce attorney today to learn more about the services and representation we offer. For over 25 years, Iandoli & Edens has been helping families successfully address their family law matters – no matter how simple or complicated. Our family law attorneys are skilled, trusted professionals who are dedicated to providing superior and caring representation to our clients. Divorce, custody, child support and other family law issues have the potential to change your life forever. We pride ourselves on getting to know what is most important to each client and working with them to come up with a fair and reasonable solution to protect what is most valuable to them. Our proven track record of compassion and experience gives us the advantage of being the attorneys our clients need. Every client should feel informed, protected and safe during their matter which is one of the most tumultuous times of their life. Change is hard but you don’t have to face it alone. We are committed to helping our clients achieve positive results that work for their family, so they can move forward to live their best life. Contact an attorney at the law offices of Iandoli & Edens, LLC for a Free 1-Hour Strategy Session. We are unlike other law firms that offer a “free consultation” to sell you on their firm, and get you to retain them. In your strategy session you will meet with an experienced family law attorney, that will take this time to get to know you, assess your needs, and together start to form your strategy. A complete overview of the specifics of your case, whether divorce, domestic violence, custody, high end finances, post judgment issues, or any other family law matter. You can expect to leave the session with an actual plan as to how your individual case with be handled by the firm. At the law office of Iandoli & Edens, LLC we focus on helping clients with the legal issues that relate to their families as well as Municipal Matters, and Estate Planning. You, our client, can be assured that the lawyers at Iandoli & Edens, LLC understand your rights and work diligently to obtain the best results. You are represented by trained professionals to handle various legal issues. Learn more about the Chester New Jersey Divorce Attorneys and their experience. Focused on making sure time and money were not wasted. Made sure focus reained on the children during a very stressful time. Explained the “why” of the settlement, which was very helpful in providing perspective. My experience with the firm of Iandoli & Edens during perhaps the most difficult time in my life was nothing short of excellent and caring. I came to the firm as most would, without any real experience of the Legal system beyond having been called for Jury Duty. I certainly had never experienced the Family Court system in Morris County. Divorce is a difficult process at best. Attorneys Josephine Iandoli and Stefanie Gagliardi provided me with first-rate legal and tactical advice throughout the long and difficult process leading up to the divorce itself as well as on a number of post-judgment matters. Their advice was always practical and caring. They often talked me “off the ledge” and led me to solid outcomes based on their knowledge of the Law and the Courts. I would advise anyone considering divorce to consult with this firm. Their conduct always demonstrated the highest ethical standards. I always felt that they had my best interests at heart. I am most pleased with the legal services I have received from Iandoli & Edens, LLC for my lengthy law matter along past years. They are highly professional, proficient and friendly in all dealings. All staff are more than willing to be efficient and helpful and they ran my requests quickly and smoothly. 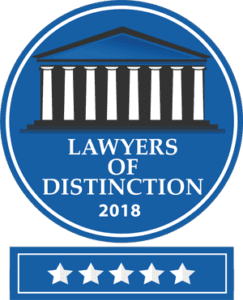 Based on my experiences with the firm and the way they helped me with my law matter, efficiently and with integrity, I did and will recommend them to family, friends and colleagues. It is reassuring to know that I can depend on their expertise for any future needs with full trust and confidence. My attorney J. Iandoli, Esq. did an excellent job representing me and advising me during a very unpleasant and often one sided (my ex-wife money was all she wanted), divorce. Josephine was a very experienced, smart and thoughtful counselor. I gladly recommend her and her team of attorneys. I would whole heartedly recommend Josephine & Ann to handle the most sensitive and most important legal issues for you. Not only do they produce good results in extremely difficult circumstances, in emotionally charged climates, but they take the time to explain what they are doing and what could be the resulting consequences. So the client is fully aware of upside, downside and the likely result. Their caring attitude combined with their intelligence, street smarts and tenacity would be what you as a client would want and with Jo & Anne that is exactly what you’ll get. No excuses, no runaround just their very best effort for you.